By now we hope to have conveyed a message that the molecular evolution of a protein hormone is not always constant, but may occasionally show an episodic mode. In some cases, the "burst" of substitutions often coincides with changes at the functional or genetic level, such as the emergence of a new function or new expression profile, or such as a gene duplication event. 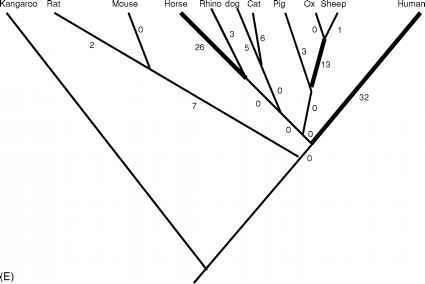 In this section, we present a compilation of cases of episodic evolution of protein hormones in mammals, not restricted to the primates. Lack of functional information and the paucity of sequence data from many species make it difficult to perform extensive analyses as was done earlier. 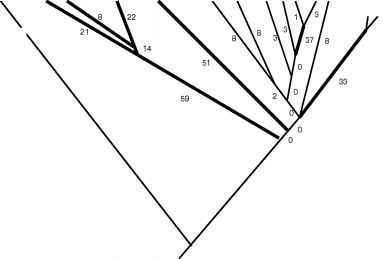 The compilation is mainly from Wallis (1996, 2001), who investigated the mode of molecular evolution of protein hormones in mammals under the condition that at least one noneutherian tetrapod outgroup sequence was available. Six of the eight hormones he investigated (including the GH) showed the episodic mode of evolution in some mammalian lineages (Figure 5, except for the GH, which was already shown above). Pituitary prolactin shows bursts of amino acid substitutions in at least four branches during eutherian evolution: primates, artiodactyls, rodents, and elephants (Figure 5A). This rate increase was shown to be characteristic of the mature protein coding sequence but not apparent in the sequences for signal peptides (Wallis, 2000, 2001). 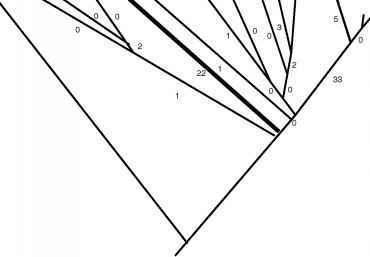 This implies the role of selection on the protein product in shaping the episodic evolutionary pattern. The second case is insulin (Figure 5B). As mentioned in the introduction, insulin was considered to be a good example of the conservatism of protein evolution. 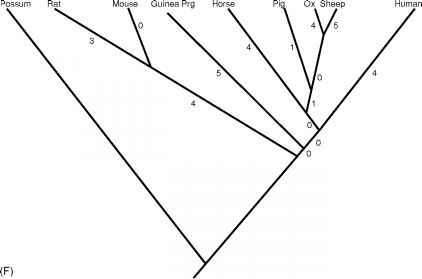 However, when the sequences from different mammalian species were compared, there was a burst of evolutionary change in hystricomorph rodents and in New World monkeys. In contrast, the rate of evolution in other mammals has been slow. What is more, the changes seen in the rodent and New World monkey insulins are known to be associated with a substantial loss of activity in standard assays (Beintema and Campagne, 1987; Seino et al., 1987). 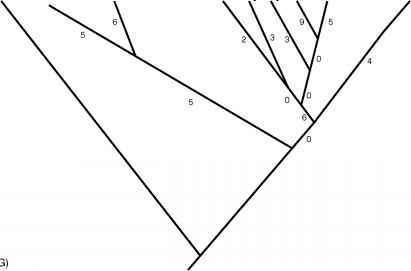 This observation fits the view that rapid evolution of DNA sequences is often associated with functional changes. Parathyroid hormone (PTH) sequences in rodents appear to have gone through a phase of rapid evolution (Figure5C). However, additional sequence information is necessary to define the pattern more precisely. 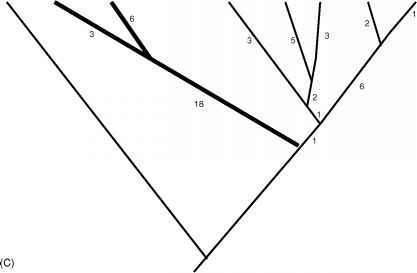 Wallis (2001) also looked at the molecular evolution of the a subunit of glycoprotein hormones. This is a common subunit of the four glycoprotein hormones: CG, FSH, TSH, and LH (see an earlier section). This shows an episodic mode of evolution in primates and perissodactyls (Figure 5D). We noted above that the regulatory region of the a subunit has gone through dramatic changes to accommodate the expression of CG in primates. The analyses of Maston (2001) and Maston and Ruvolo (2002) also showed the episodic mode of molecular evolution for the CGa in higher primates. The molecular evolution of the ß subunit of luteinizing hormone (LH) also exhibits an episodic mode of evolution in perissodactyls and primates (Figure 5E). 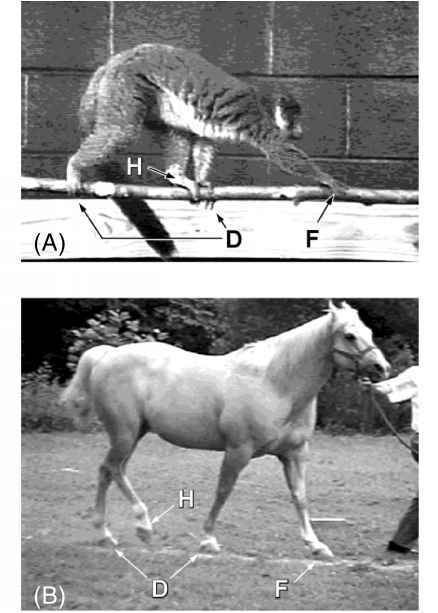 Maston and Ruvolo (2002) also confirmed this pattern through dN/dS analyses. The rapid evolution was also seen in Artiodactyla. In comparison, the ß subunit of two other members of the glycoprotein family, FSH and TSH, do not show such a pattern. 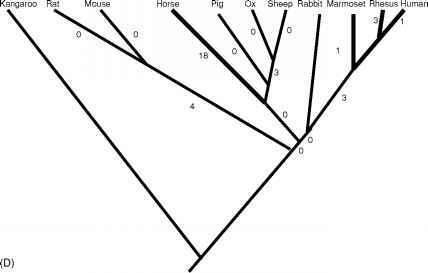 The evolutionary rates estimated from the available sequences from various mammalian species including rodents, artiodactyls and perissodactyls, and hominoids, show a rather constant slow rate of evolution (Figures 5F and G).